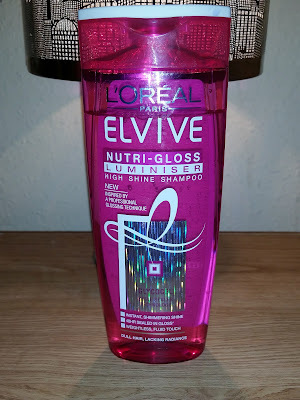 Home / HairCare / L'Oreal Elvive Nutri Gloss Luminiser Range - Is It Worth It ? 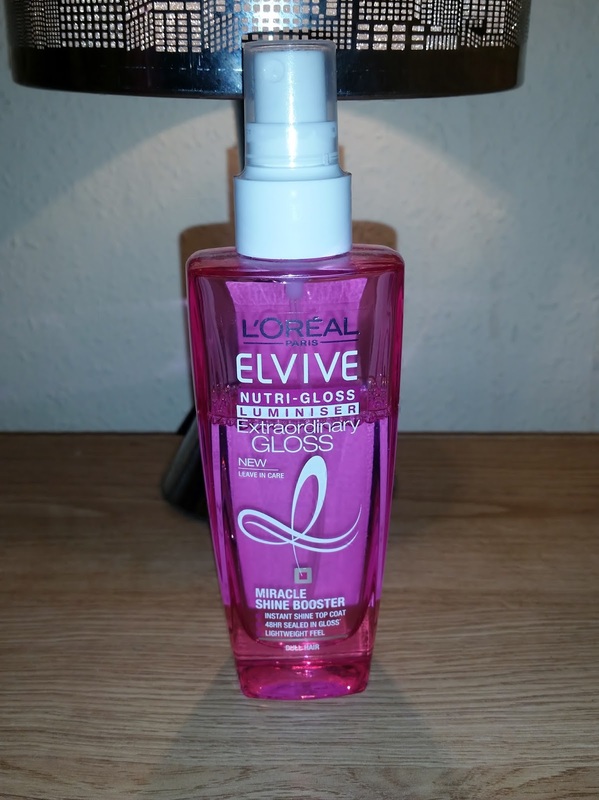 L'Oreal Elvive Nutri Gloss Luminiser Range - Is It Worth It ? This caught my eye when i spotted this on the shelves in asda. 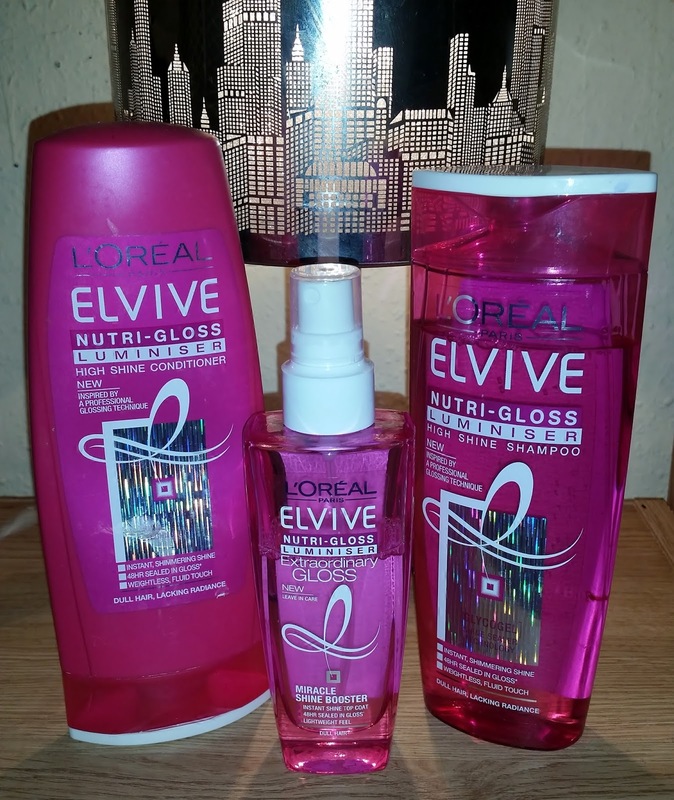 There was a promotion on all of the L'oreal hair ranges. 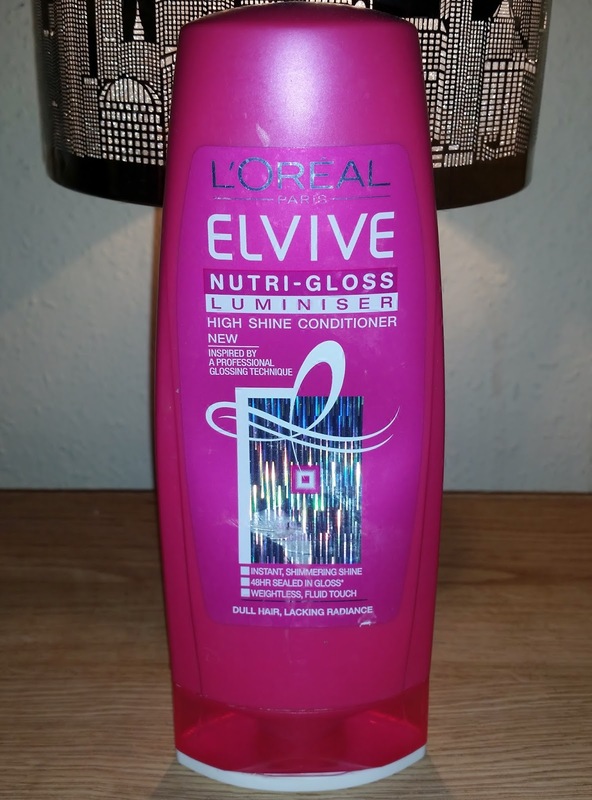 I remember seeing the advert of the L'oreal Elvive Nutri Gloss Luminiser which stated 'high shine' through out the commercial. Who doesn't want to add shine to there hair for it to look healthy and happy. So i purchased the shampoo, conditioner, and the L'oreal Elvive Nutri-Gloss Luminiser Extraordinary Gloss spray to see if it would live up to what it actually states. All packaging is pink and even the glass bottle the spray gloss comes in looks great. The science of dull hair , lacking radiance. Over time, hair fibres can become dull due to build up of impurities and the hair cuticle becomes rough, which can disrupt light reflection. I found the shampoo to have a runny consistency so be careful when popping the top off and pouring the amount into hands. 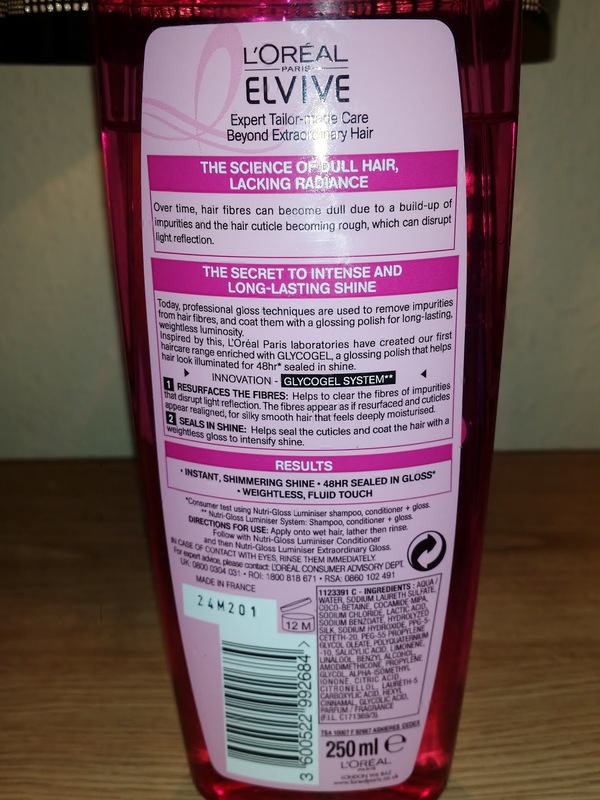 It has a slight perfume smell which isn't over the top and wasn't aggravating to the scalp at all. Was actually a pleasant scent. This cleansed my hair quite well and was balanced enough in not stripping the hair of all its goodness. This has the same scent as the shampoo which i found really nice. It isn't a heavy thick conditioner but more a medium consistency. I tend to leave conditioners in my hair so they can fully coat the hair and get to work. I wait around 5 to 10 minutes and then wash out. 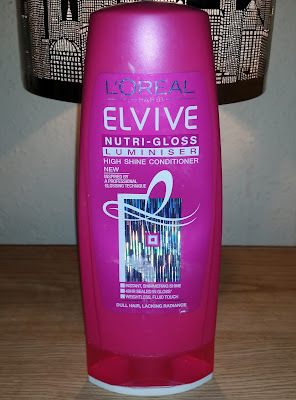 This left my hair really soft and smooth during the wash out period. A beautifully weightless formula that is instantly absorbed into the hair leaving it feeling luxuriously soft, brilliantly radiant, and subtly perfumed all day. Before styling to soften hair and boost radiance. As a finishing touch for intense shine and a non greasy finish. I use this before styling and it does absorb into hair really easily as soon as u spray this onto hair. It makes blow drying so much easier and lessens the time when your drying your locks. What i also like about this is that its so non greasy, that even if u spray too much your hair wont look like u have been dunked into a oil pool. Today, professional gloss techniques are used to remove impurities from hair fibres, and coat them with a glossing polish for long lasting weightless luminosity. 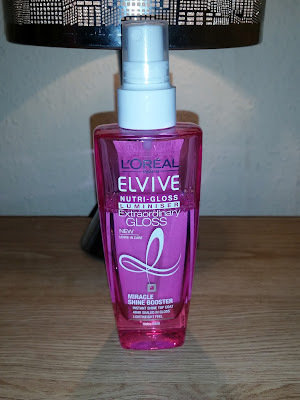 Inspired by this, L'oreal Paris laboratories have created our first hair care range enriched with GLYCOGEL, a glossing polish that helps hair look illuminated for 48 hour sealed in shine. Helps to clear the fibres of impurities that disrupt light reflection. The fibres appear as if resurfaced and cuticles appear realigned, for silky smooth hair that feels deeply moisturised. Helps seal the cuticles and coat the hair with a weightless gloss to intensify shine. 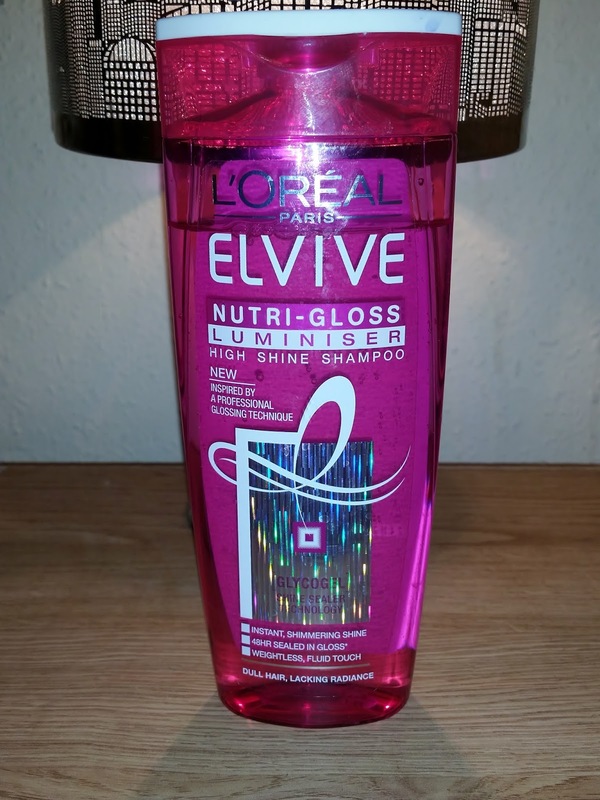 I was abit sceptical before i used this, as its hard to get blonde hair to shine bright like a light bulb. Plus the aspect of finding a shampoo that not only will boost shine in hair but also moisturise and care for it at the same time. This is a great range and i found that the results did boost shine and moisturise, whilst making my hair look and feel healthy. It cuts down drying time and also leaves your locks smelling divine! The next day there was still a glow to my hair and also the bed head morning look had been firmly put in its place for a smooth, tamed, well behaved set of locks! So the next time your down the hair care isle be sure to check this range out! Check out VIDEO OF THE DAY on my blog to see the commercial.